Be careful if you drive into Munich from the south on the 995 Autobahn through Perlach Forest. As the freeway seamlessly cedes to the Tegernseer Landstrasse, the road submerges into an uncovered tunnel know as the McGraw Graben. Was this a cheap way to relieve traffic? Unlikely since the bridges spanning the sunken road are nearly devoid of cars. You think, “What’s the point of the asphalt canyon?” Then a light flashes. Hopefully you smiled for the camera, because you were doing 70 km/h in a 50 zone. Is this 3/4 km half-tunnel the most elaborate speed trap ever built? Actually, it’s a trench dating back to the Cold War. However, before you conjure up images of the French countryside in WWI, understand that this was not a trench meant to protect soldiers from artillery or machine gun fire. Rather, it protected military personnel above ground, in what could have been the most dangerous part of their day: going to lunch. These days, little reminds us of the former function of the group of buildings clustered around Tegernseer Land Strasse 120. However, from 1945 to 1992, the area was known as the McGraw Kaserne, an American military installation, which had previously served as Nazi administrative offices. In its nearly five decades of American occupancy, the installation housed various military bodies, such as Southern Area Command (SaCom), the Army Air Force Exchange Service (AAFES), the 66th Military Intelligence Brigade, and a satellite of the University of Maryland, which served the children of American military personnel in Europe. Although American military presence in Munich was more or less harmonious, a few issues rankled the local population. One of the longer-standing gripes was the status of the then ground-level Tegernseer Land Strasse. This street was (and still is) one of the main arteries out of Munich, connecting the middle ring road to the Autobahn leading into Upper Bavaria. For the first few decades after the war, the Americans closed the street, forcing motorists to follow a cumbersome detour around the caserne. For years the city unsuccessfully petitioned the Americans to re-open the road. The military often cited security concerns, specifically the possibility of eastern-bloc spies taking pictures from passing cars (Weyerer, 95). However, they also surely enjoyed walking to the canteen without worrying about becoming a traffic casualty. 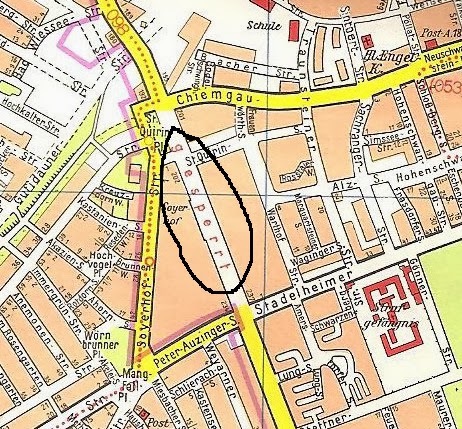 On January 1st, 1969, the “Acquistion of Land for Military Purposes Act” (Gesetzes über die Landbeschaffung für Aufgaben der Verteidigung) should have returned the street to the city. However, a provision in the law allowed the German government to extend the Americans’ right to the street. By this time, SaCom had moved out, and the Americans had opened the street to pedestrians and weekend vehicular traffic. The security argument for keeping it closed the rest of the time was losing credibility. Nevertheless, the approximately 400 Americans (and 800 Germans) who worked for the AAFES liked their street the way it was. And who could blame them? These days, citizens of Munich are constantly fighting the city over the amount of traffic in their neighborhood. However, the average Bürger doesn’t quite have the same clout that the American military had in Germany during the Cold War. Eventually the Americans compromised by offering to permanently open the road if the city lowered it below ground level and connected the sides of the trench with a series of bridges. The German government even offered 25 million Marks for the project. However, Munich, which has historically felt it has always got the short end of the stick when dealing with Berlin (or in this case, Bonn), rejected the money. One city official argued that it was a waste to spend so much taxpayer money just so “a few administrative clerks could get a Coca-Cola undisturbed” ("Asphalt fuer Amis" 55). Eventually, Munich gave in and dug the trench as a part of a major infrastructure project preceding the 1972 Olympic Games. On August 2nd of that year, lead-footed German motorists once again had a clear path out of the city. The US military left Munich in 1992. The Munich police moved into the administrative buildings, and the University of Maryland dormitories became apartments for local students. These days, except for a few plaques and some graffiti, little reminds us of the former American presence. 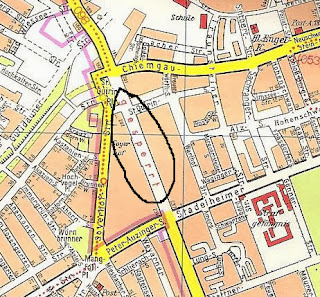 In fact, the area may be redeveloped in the coming years, and the McGraw Graben could become a real tunnel. Yet for now, the trench remains as a symbolic reminder of the Cold War, not just between East and West, but also between Munich motorists and American jaywalkers. Bavaria knows how to make money off past wastes. In the 19th century, King Ludwig II bankrupted Bavaria by building a trio of castles on the edge of the Alps. Over a century later, these palaces, most famously Neuschwanstein – the inspiration for the Disney castle – draw millions of tourists and millions of Euros to southern Germany every year. In the case of the McGraw Graben, Munich has also taken advantage of the once expensive project. It’s ironic that the road, which was supposedly lowered to protect the adjacent buildings from the camera’s eye, has become the location of Munich’s most notorious photo speed-trap. 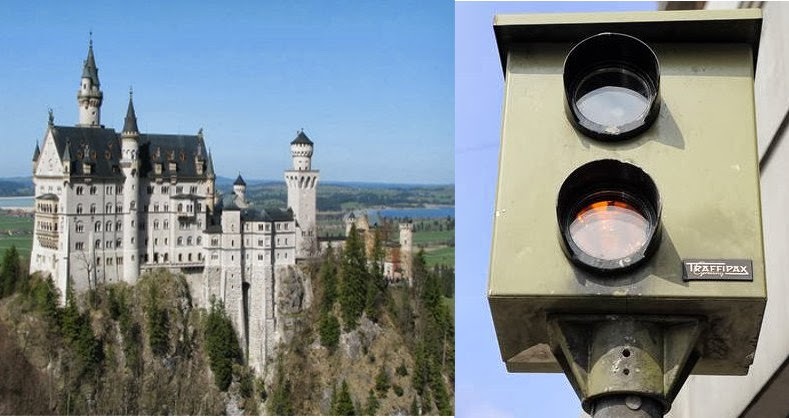 In 2008, when the limit was reduced to 30 km/h due to construction, the camera netted 3 million Euros for the city by photographing nearly 90,000 speeders ("Der McGraw Blitzer wird scharf gemach"). So if you find yourself on Tegernseer Land-strasse, descending below the surface, enjoy the history, but keep it under 50. "Asphalt Fuer Amis" Der Spiegel 21 July 1969: 55. Print. Weyerer, Benedikt 1950-1975: Stadtrundgänge zur politischen Geschichte Geschichtswerkstatt Neuhausen, 2003. "Der McGraw Blitzer wird scharf gemacht" Abendzeitung Muenchen Web. 7 Sept 2008. I really enjoyed reading this. I worked at the Munich American Guesthouse in 1988-89 and remember the sound of traffic from below. I always thought it was for security, but I had no idea of the history behind it. I grew up in a military family, and we were in Munich in the late 50's. McGraw Kaserne provided the commissary, theater, base exchange, and cafeteria. We went to church services in one of the buildings. I have great memories of the place.